Getting art books in the mail is fun. 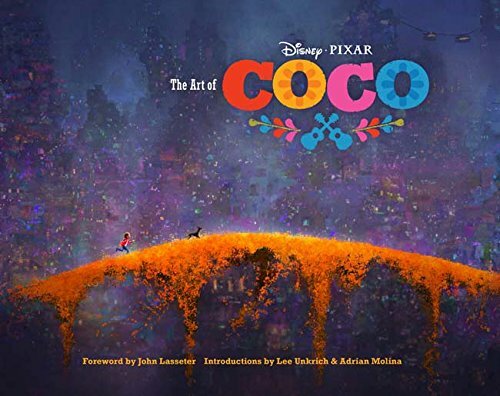 Getting beautiful books designed by Pixar about a gorgeous movie is even more fun. Coco is a very sweet movie, and I enjoyed watching it with my family. This book is about the creative process at Pixar, and we get to see concept art, clay models, sketches, and reference photos used to create the movie, along with some fun tidbits about the artists and their inspirations. As with most such books, it will likely appeal to fans of the movie, but this was a cute movie, so why not? Beauty is good for your soul.